So, while I was up in Manchester wandering around the shops I came across the most amazing bed sheets, however they only had it on display as they had run out of stock. I was incredibly sad as I had been searching for something pretty much exactly like them, so once I got back to London I made it my mission to get them! Thankfully I managed to pick them up along with some extra bits so I thought I share them with you all. 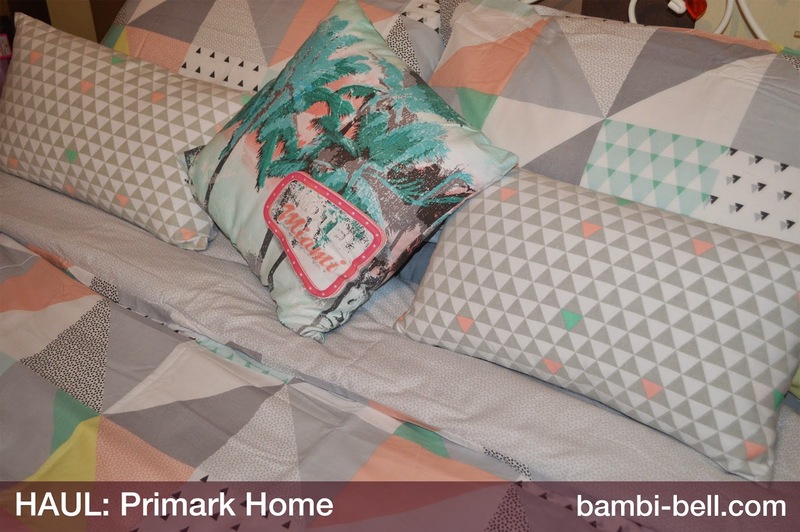 Especially as they brighten up any bedroom and definitely have lovely spring/summer feel to them which is great now that London is finally getting a bit of sunshine! I picked up a duvet set (so now I have this set twice so I can switch to wash them), bed sheets and extra pillow cases, cushions and some throws. 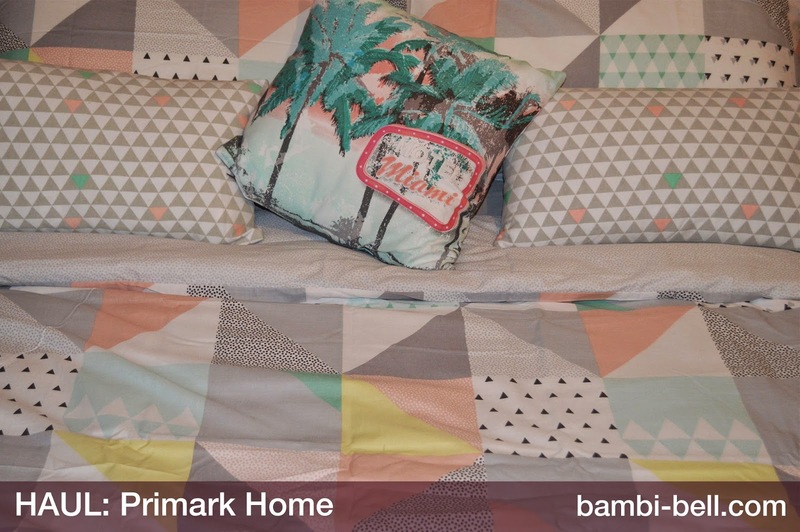 I'm incredibly happy with it all, and honestly the quality of this is a lot better than I had expected, I haven't bought bed sheets in Primark for a rather long time as they were never good enough, but I've been pleasantly surprised with how nice these feel. 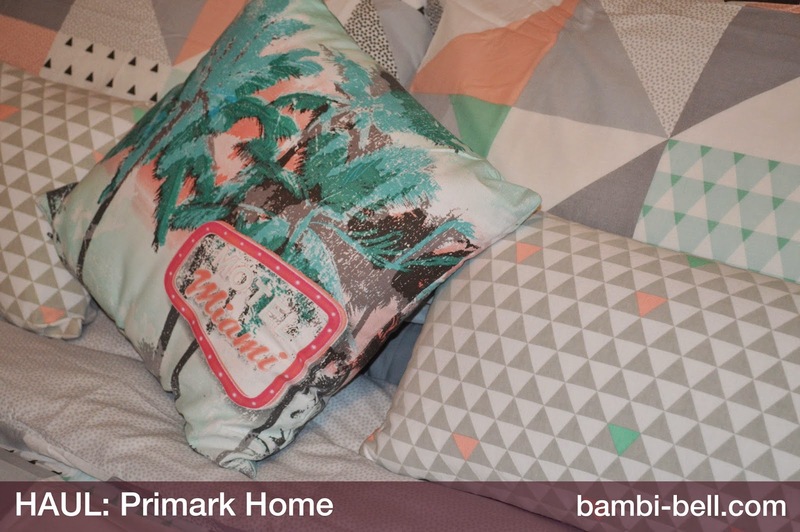 This set just gives the bit of colour my room needs, all of my furniture is white so it's nice to be able to bring in bits of colour through my bedding and decorations. This set is perfect because it's not too bright, so with it's pastel colours it sits nicely within my room. 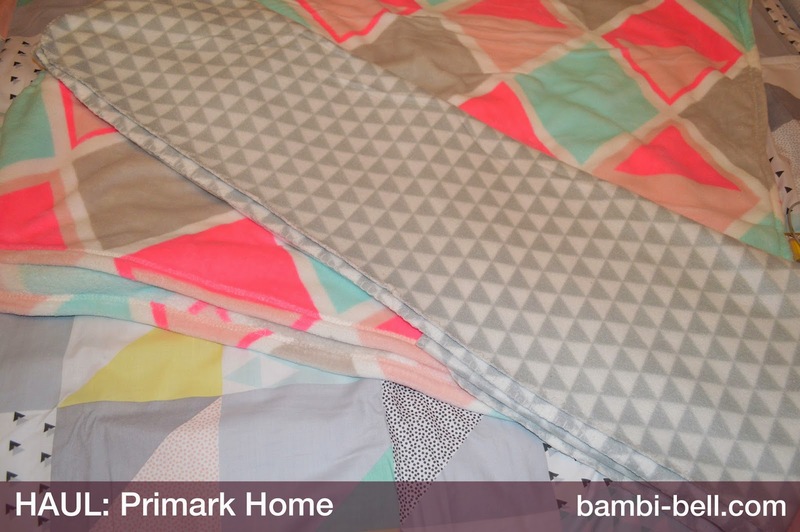 I think my favourite purchase is this Motel Miami cushion, it just breaks up all of the geometry with a cool print. Plus I really want to visit Miami one day! Now the part I've had problem with in the past has always been the fitted sheets, as they always feel scratchy and not too soft. 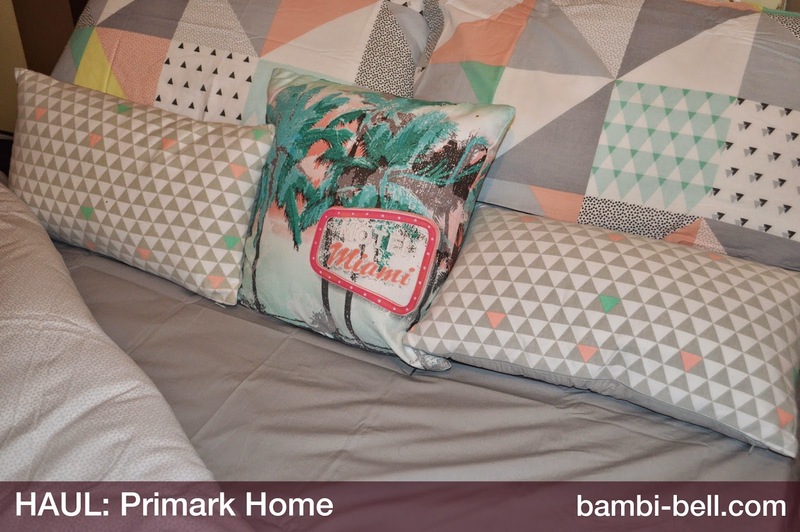 This time however I spotted their 'Luxury' range, so I picked up a fitted sheet and a pillow case set in a grey colour to match everything else, as soon as I took them out I noticed how soft they were. I'm really surprised with how comfy they are and I'll definitely be heading back to pick up another set, as I only got one to test out just in case they were scratchy! I also picked up two throws, the bright diamond one is an extra large one, and honestly, I'm a little undecided on it. It's super soft but I'm not sure on the colours with it so I'll need to thing a little more about that purchase. The top throw shown in the picture is a nice and simple one, it's not huge like the other one but it's probably going to be something I throw on me if I get cold. I'm sure I've got plenty more hauls coming up, I'm a little addicted to shopping so watch out for those! 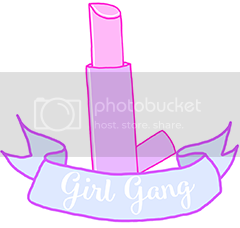 See you next in the next post!